When someone mentions curry to me I often think of a big pot simmering for hours, full of complex spices and hard-to-make sauces. This butternut squash curry is the exact opposite of that…yes, you’ll need a large pot, but there’s nothing complex about this recipe. – Start by placing your diced butternut squash into a microwaveable container with a little water in. Put the container into the microwave and microwave for a few minutes until it starts to soften. – In a large wok or frying pan, add a little coconut oil and fry off the onion, cumin seeds, chili and madras curry paste before adding the diced chicken breast. 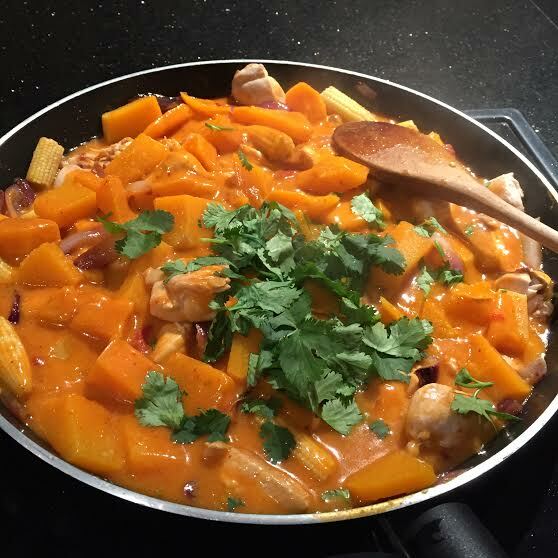 – Once the chicken is cooked, add the vegetables and the butternut squash before pouring in the coconut milk. – Allow to simmer for 10-15 minutes. Stir in some fresh coriander before serving and remember to save a little bit to garnish the dish with! 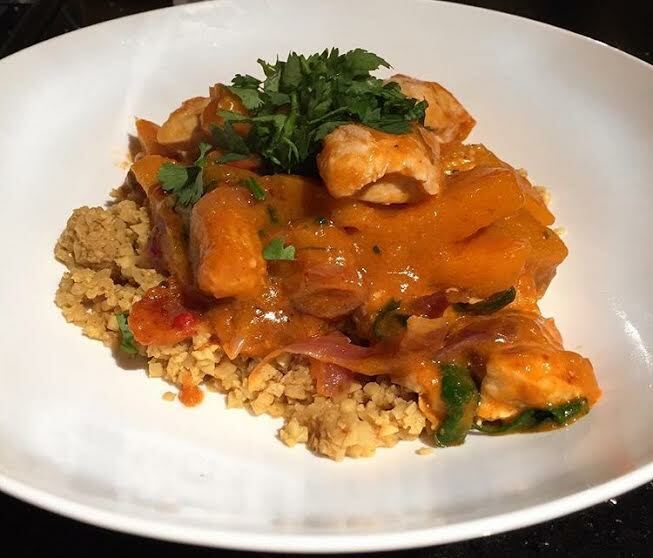 – Serve piping hot with either plain rice or cauliflower rice. There you have it, a super simple, cheap and easy to make curry that takes less than 30 minutes. Of course, it’s healthy too.